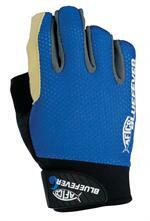 Ideal glove for leadering monofilament, bill-grabbing a marlin, or just getting a grip on something slippery. 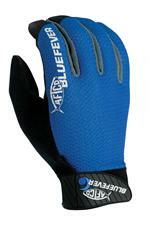 A great all-purpose fishing glove, with excellent tactility and dexterity, the Tacky-Grip palm and fingers add durability, and vent holes help to drain water. Lightweight with short fingers, it's designed with the Long-Range frisherman in mind. 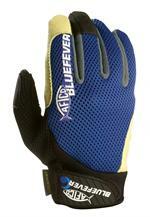 Both Index and middle finger plus thumb are longer for added protection. Closed cell EVA foam covered with super tough Armortex® wraps hand and lines palm, fingers and thumb to maximize protection when handling mono, wire or cable leaders. 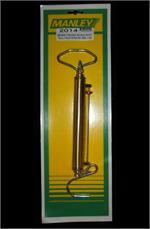 For use in rigging dead bait and bridling live bait. 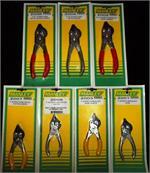 "The Best" Heavy Duty hand crimper made. The only fully adjustable one shot crimping tool made for Nico-press crimps, aluminum sleeves, zinc sleeves and copper sleeves. Not a copy, this is the original that is often copied. 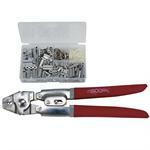 Boone cable cutter feature a unique triangular jaws that never leaves a frayed cut. 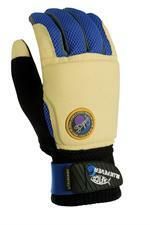 Comfort grip handles never leave you with a sore hand. 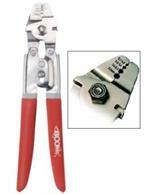 One Hand Cable Cutters. "Best tool ever made for cutting cable!" Manley's Nylon webbing construction with stainless steel clip that works with a belt or the waistband of your pants. Lightweight and handsome, these cases will keep your pliers handy when you need them most. Impervious to saltwater. Standard issue snot gloves we all use. These are a much better than the cheap knockoffs you see normally. Works well doubled up cotton gloves. Sold by the pair. 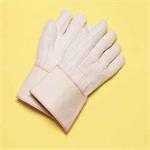 XL Cotton Gloves - 24oz. - 36oz.